Student can ask the doubt from the purchased subject / course only. Validity for doubt clinic will be same as that of the purchased course. In one post, purchased user can ask only one doubt per week. Post your doubt as detailed as possible so that you can get the right answer. Purchased user have to post the options of the question if available, and also the answer to the question. Students have to mention the topic name correctly. Doubt will be cleared within 24 hours (as per availablity of faculty) in working days, except for some tricky questions which might be delayed but will be cleared ASAP. One student can ask 1 question per subject per week. 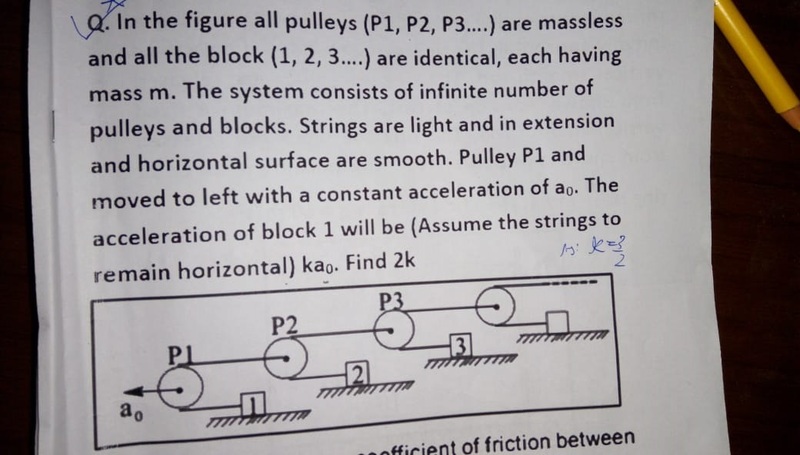 Student can ask the doubt from the any subject (PCMB) / course (JEE, NEET, CBSE). User have to post the options of the question if available, and also the answer to the question. One student can ask total one question after 1 week of registration. For more services student will have to purchase the course as per their requirement.